This Itlaian classic is homemade by our butchers. 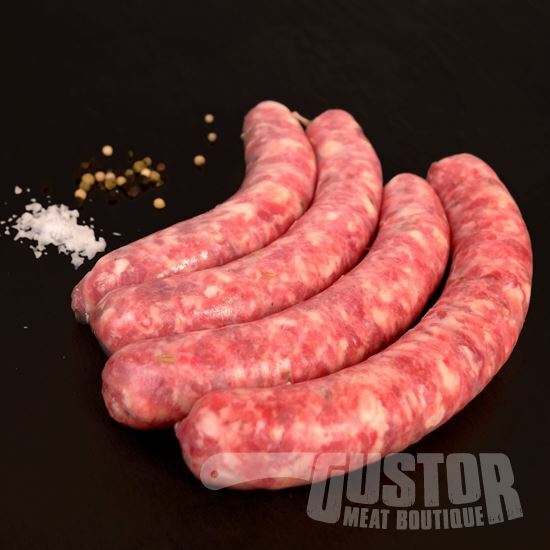 For this sausage we use courselyground shoulder Gloriusporc, fennelseed, seasalt and white pepper. And as always at Gustor there are no added preservatives, colouring or allergens whatsoever. Perfect as an appetizer or in classic Italian dishes. This product will possibly be sent in a frozen state.